We didn’t go out for a test run as planned since the winds were ripping. 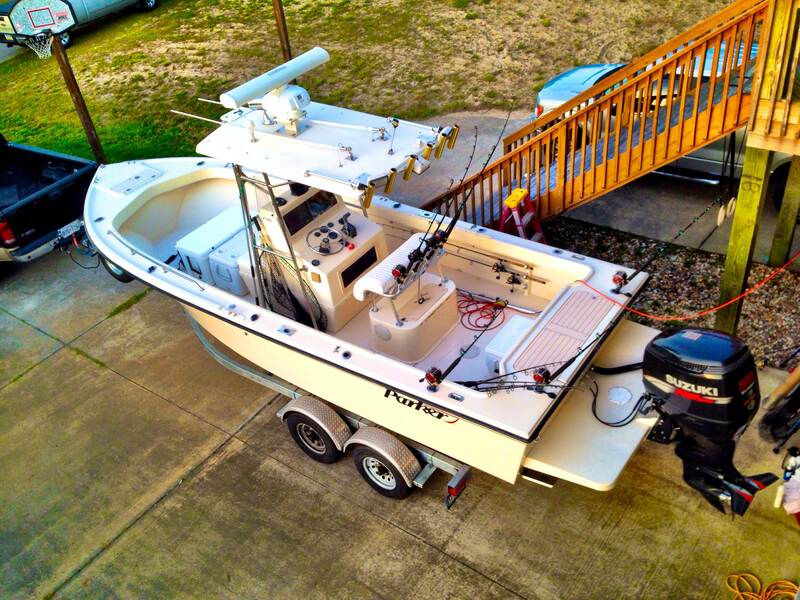 We rigged the rest of our off shore tackle and prepped the boat for launch. We did take a trip back out to Red Drum and Teachers Lair to get bait and more tackle. We watched two charter boats come in at Hatteras Marinara and they boat had great days. One boat had a 60 to 80lb Tuna with tuns of Dolphins. The other boat caught a Marlin which is badass. The coolers are packed full of ice… alarms set for 4am.